Subtitle: IF some special event occurs on the Jewish commemoration of "Tish B'av" (August 14), an unbelievable historical numeric signature will have been followed! You will then be able to understand the full significance of that Sharon Administration official who said that events in Israel are marching to a "timetable" and a "schedule". God's spirit-filled people can sense that time is getting short. Because Jesus told us to be attentive, awake, and watchful as we see the signs of the End of the Age approaching (Luke 21:36, Parallel Bible), genuine discerning Christians know that the time of the beginning of the Final Birth Pangs War (World War III) is close. We further know that Antichrist is planned to come striding out of the smoke, death, and destruction of this 91-day war. One of the key dates in the very near future appears to be Tish B'Av (also known as the 9th of Av), a time of sorrow and contemplation for the Jewish people. In May, Prime Minister Sharon said he would delay the beginning of his Unilateral Disengagement until after Tish B'Av, while archeologist Vendyl Jones announced that he had been told by an anonymous Cabbalist priest that the "time was now right" to "discover" the Ark of the Covenant, a discovery which Jones felt he could make on or before Tish B'Av (Newsletter of May 21, 2005, Paragraph II). We noted that Tish B'Av was the focal point of both these announcements. Please keep this fact in mind as we will come back to this fact later on. OCTOBER, 2005, YOM KIPPUR WAR? 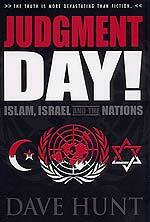 The Israeli military is expecting a full-scale war to erupt on Yom Kippur this year, which falls on October 13, 2005. Whether this actually occurs is anyone's guess, but Israeli intelligence is expecting such a war, which explains why the Sharon government is suddenly pushing so very hard for the IDF to finish the Security Fence (with no budgetary restrictions) and for the IDF and police forces to complete the Unilateral Disengagement many months early. Let us begin with the story that the IDF expects to be in war on Yom Kippur, 2005 -- October 13. In other words, "military correspondent Haggai Huberman" has learned that the IDF believes Israel will be at war on Yom Kippur, this year, which falls on October 13, 2005. I have read Haggai Huberman's articles for many years now, and have always believed that his military connections stem from Mossad. If this is true, then Huberman's revelation is shocking, but not surprising. Cutting Edge has taught for nearly five years now that the real objective of the Oslo Peace Accords is to lead the Palestinians into a huge, cleverly laid trap. What Oslo was intended to do was to lead Israel to the point Sharon is taking the Jewish settlers right now, i.e., to remove them "from harm's way" so that the IDF could launch a massive strike against the Palestinian civilian population, fulfilling Obadiah 15-18 and the parallel prophecy in Isaiah 34 (Read NEWS1422, NEWS1620, NEWS1625, and NEWS2058 for full details). For the past year, as Prime Minister Sharon gradually led the Israeli people into accepting his Unilateral Disengagement plan, he has consistently stated that the process would be long, difficult, and fraught with perils. Toward the beginning of 2005, Sharon officials have hinted that they expected to complete the disengagement by the end of the calendar year, 2005 -- by December 31, 2005. However, in the past several weeks, Sharon officials have demonstratively shortened that time period. Let us review the pertinent news stories. "Army officers and officials now say that the expulsion should not be carried out in four separate stages, as per the Cabinet decision, but rather in one fell swoop of between two and four weeks ... O.C. Southern Command Maj.-Gen. Dan Har'el told the Knesset Foreign Affairs and Defense Committee today that the expulsion/withdrawal plan in Gaza would begin in the north and proceed southward." This "change of heart" means that, once the Disengagement process begins in Gaza and selected West Bank settlements on August 17, 2005, it will be finished by August 31. This tightening of the time schedule is probably more a reflection of the original plan now being made public than any other single consideration. In other words, Sharon and his IDF leadership probably planned a two-week disengagement from the beginning, but never said so for reasons of conditioning propaganda. Now, however, as the time for implementation draws nigh, the time has arrived for the truth to be publicized. Prime Minister Sharon has also made it quite clear that the West Bank settlements would be evacuated once the Gaza Strip was completed. How is that schedule looking, for the original word just a few months ago was that the West Bank forced evacuation could not begin until late October? "JENIN, West Bank - Israel's planned withdrawal from four West Bank settlements will begin on Sept. 4, an Israeli military official in the West Bank said Wednesday. Fuad Halhal, an official in the military's civil administration, said the pullout would take place over six days ... The limited West Bank withdrawal is accompanying Israel's planned pullout from the entire Gaza Strip, set to begin in mid-August." This story means that the forced evacuation of the four selected West Bank settlements will be finished September 10. Does this mean that the rest of the West Bank settlements to be forcibly evacuated could be finished by October 13? We have heard no news stories on this possibility, for the Sharon government is focusing its entire attention on Stage One - withdrawal from Gaza Strip and the four selected West Bank settlements. However, it seems likely that they certainly might meet this final deadline, especially if their brutal tactics against protestors and resistors intimidates West Bank settlers so much that they meekly leave in peace. The Sharon government certainly could use a religious shot in the arm of some sort which would persuade the settlers to simply pick up and leave peaceably. At the same time, the Palestinians are suddenly cooperating. "James Wolfensohn, Quartet envoy and former World Bank president, met with Abu Mazen Saturday to discuss $3 billion in promised aid. The PA said that terrorists agreed on a quiet expulsion ... Wolfensohn is the envoy representing the Quartet comprised of the United States, the European Union, Russia and the United Nations. With $3 billion in international infrastructure investment to create new jobs, he has been able to win cooperation from Arabs ... PA chairman Abu Mazen (Mahmoud Abbas) promised Wolfensohn on Saturday that the PA would ensure quiet during the expulsion of Jewish residents planned for mid-August and the subsequent IDF withdrawal." Can you believe this news? Sharon made it quite clear over a number of many months, in issuing many warnings, that he would not order the IDF to withdraw and to forcibly evacuate the settlers, if the Palestinians were firing at his troops as they left. He used the term, "withdrawing under fire". Just last week, Sharon warned that he might call off the Unilateral Withdrawal if the Palestinians kept attacking. Now, we see the "Money Bags" of the Illuminati rushing to the rescue. Palestinians have always placed expediency higher than principle, as this situation so graphically illustrates. But now, the Palestinians have suddenly turned cooperative with the Sharon government, in yet another way as the time drew down toward the beginning of the Unilateral Withdrawal. The Palestinians had heretofore threatened to fire on IDF soldiers and policemen who were forcibly evacuating settlers, a threat Sharon took so seriously that he repeatedly threatened to stop the Unilateral Disengagement completely. Between the lucrative offer of $3 billion and diplomatic arm-twisting, the Palestinians are officially going to hold their fire long enough for the Gaza Strip to be evacuated. Now the only question is whether the Palestinians will hold their fire long enough between the end of the Gaza Strip withdrawal and the end of the full West Bank withdrawal. Will that concession cost the Illuminati another $3 billion? INTERESTING NUMERICS -- KEEPING A "SCHEDULE"
In February, 2005, a Sharon Administration official let the truth slip out that the Prime Minister was following a "schedule" of events. Let us review this story. "Israel might lose ground in Washington if it carried out a disengagement referendum that would delay implementation of the plan ... 'In my view I don't think anything that will postpone, or interfere, with the timetable or orderly manner of carrying out disengagement would be viewed favorably in Washington', (Foreign Minister) Ayalon told The Jerusalem Post ... 'they (Bush Administration) have stressed repeatedly in all their meetings in Jerusalem, and said it publicly, that the timetable should be kept, and it is important to carry out the disengagement according to schedule and without any obstacles', he said." We have just been told something very, very significant in these remarks by the Israeli Foreign Minister! The key words are SCHEDULE and TIMETABLE -- We have just been told that the primary American concern is that the "timetable" and the "schedule" must be adhered to! I have never, ever before seen any indication that Israel's Unilateral Withdrawal is tied to any schedule whatsoever. 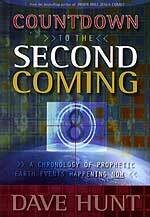 Cutting Edge has repeatedly stated that God's prophetic schedule is driving these events, and that the Illuminati cannot carry out any part of their plan until and unless God's timing permits them. But here, we learn that an invisible -- but firm -- timetable/schedule does exist and President Bush expects Prime Minister Sharon to adhere to it. Were he to agree to subject the unilateral withdrawal question to Israeli voter approval, the election itself would cause a delay in the withdrawal timetable. Therefore, we now understand that the primary reason for the angst of the Bush Administration regarding elections is whether the timetable will be followed. As Cutting Edge has said all along, there is a timetable for these planned events in Israel, events which are crucial to beginning the slide into the planned World War III. Watch Israel and her planned withdrawal; when you see that 99.3 percent of the Palestinian population is now separated from the Jewish, you will know that the time for the Final Birth Pangs War is close at hand. Now, let us return to the subject of the sudden interest in the Jewish commemoration of Tish B'Av (9th of Av) which we mentioned, above. Sharon postponed the official beginning of his withdrawal until after Tish B'Av and the Noahide American archeologist, Vendyl Jones, said he hoped to "discover" the Ark of the Covenant by Tish B'Av. If something significant does occur on Tish B'Av, a startling timetable will be followed. Since this entire sorry scenario of Unilateral Withdrawal and the separation of population began with the Oslo Accords, let us being there and work our way forward to this present time. "The Oslo Accords, officially called the Declaration of Principles on Interim Self-Government Arrangements or Declaration of Principles (DOP), finalized in Oslo, Norway by August 20, 1993, and subsequently officially signed at a public ceremony in Washington D.C. on September 13, 1993 with Mahmoud Abbas signing for the Palestine Liberation Organization and Shimon Peres signing for the State of Israel witnessed by Warren Christopher for the United States and Andrei Kozyrev for Russia, in the presence of US President Bill Clinton and Israel's Prime Minister Yitzhak Rabin with the PLO's Chairman Yasser Arafat. "The Oslo Accords were a culmination of a series of secret and public agreements, dating particularly from the Madrid Conference of 1991 onwards, and negotiated between the Israeli government and the Palestine Liberation Organization (acting as representatives of the Palestinian people) in 1993 as part of a peace process trying to resolve the Israeli-Palestinian conflict." At this point, let me relate a personal story concerning this affair. In June, 1990, I read a commentary in the Jewish Press in which the author stated that a decision had just been made at the highest levels of the Israeli government, both political and military. This decision stated that, during the next Arab-Israeli war, the IDF was going to annihilate all populations round about that were threatening Israel. Sharon clearly is leading Israel down this treacherous path, as you can see by reading NEWS1911, a most enlightening article. On September 29, 2000, Arafat launched his terrible Intifada, which doused all hope that the goal of "Peace" with the Palestinians could ever be reached. Arafat had just refused an offer in August from President Clinton and Prime Minister Barak which would have granted him control of 95% of the West Bank. As you can see from this Calendar Calculator, the space of time between the signing of Oslo to the beginning of the Intifada was precisely 7 years, 16 days. Since an occultist will always "reduce" a significant numeric to a single digit, he will add "1+6" to get "7". Therefore, the interval between the official signing of the Oslo Accords on September 13, 1993 to the beginning of the Palestinian Intifada on September 29, 2000, forms a "77". In occult numerology, "77" is formed by the multiplication of "11x7". Eleven is the number of the coming Masonic Christ, while "7" is the number of perfection. Since the Israeli Illuminist government is planning to stage the appearance of the Jewish Messiah (Masonic Christ), it is not surprising they would be conducting a long-term plan which revolves around "77" or "777". Remember also that the original attack on London formed a "77" and a "777" -- NEWS2054. Arafat's Intifada raged continuously from September 29, 2000, to its announced conclusion on June 29, 2003. As you can see from the Calendar Calculator, this period is exactly 2 years, 9 months, or "33" months. In NEWS1778, we demonstrated how important the number, "333" was to the Illuminati, as we discussed the occult call for global prayer built on the foundation of a "333"; sadly, this was also the instance in which the largely Charismatic leadership of the World Prayer Team (WPT) network piggy-backed on the occult plans. Then, in NEWS1809, we demonstrated how President Bush had caused events to occur that created two sets of "333". The first of these two "333" events was built upon the delivery of the "Road Map" to Prime Minister Sharon from President Bush; thus, this current situation between the Palestinians and the Israelis about which we are speaking is built around a "333". * On September 29, 2000, Arafat launched his Intifada against Israel. We know that this Intifada was Step Two of the New Jerusalem Covenant Project plan [Read NEWS1842 for full details]. This Intifada lasted precisely 33 months, until June 29, 2003. That gives us a "33". * On June 29, 2003, Palestinian terror groups agreed to a "Hudna" for 3 months, until September 29. That figure provides another "3"
Thus, Arafat's plan is built upon "33" and "333". 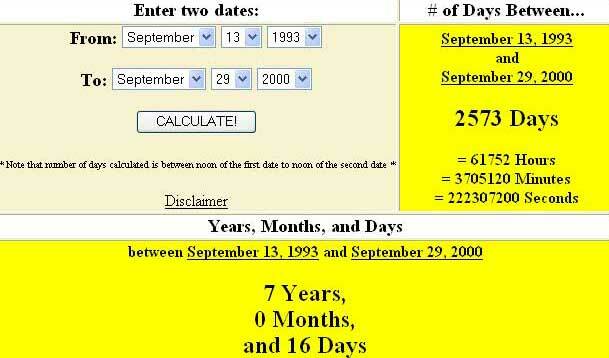 Finally, the time period from the end of Arafat's Intifada on June 29, 2003, to Tish B'Av, on August 14, 2005, is exactly "777" days. While we are not predicting any significant event to occur on August 14, 2005, in Israel, we cannot refrain from pointing out that this day may be very significant since it represents an interval of 777 days from the end of Arafat's Intifada. * Time Interval between the signing of Oslo Accords on September 13, 1993, to the beginning of Arafat's Intifada on September 29, 2000, was 7 years, 16 days, which can be reduced -- "1+6" to equal a "77"
* Time of Arafat's Intifada, which started September 29, 2000, and ended June 29, 2003, is exactly "33" months. 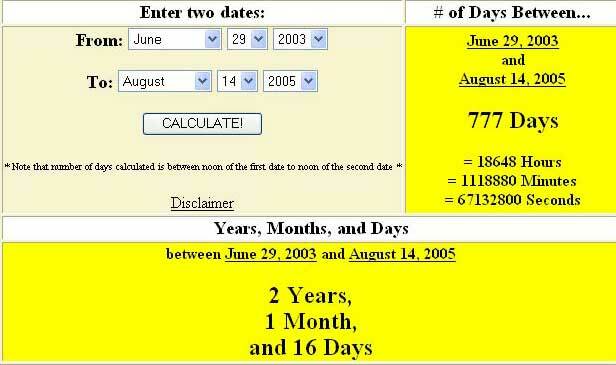 * Time Interval between the end of Arafat's Intifada on June 29, 2003, to Tish B'Av on August 14, 2005, will be "777" days. 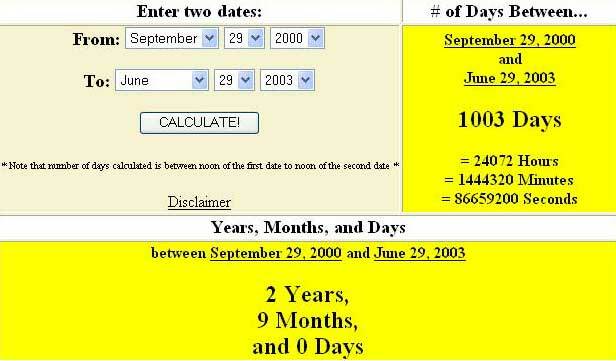 We shall have to wait to see what, if anything, occurs in Israel on Tish B'Av, but the numerics are astounding. The first two time intervals are in the history books and shall not change. We can only wait to see what happens of Tish B'Av, August 14, 2005. However, the REAL story is that the Israeli military establishment believes Israel will be attacked on Yom Kippur, this year, which is October 13. Toward that end, Israel is expending her total resources to forcibly evacuate her Gaza and West Bank settlements before Yom Kippur. Cutting Edge has always maintained that, once Israel has pulled her people back behind the Security Barrier, and once she has pulled her settlers out of harms way in the predominately Palestinian areas, she cannot wait too long to go to war, to fulfill Obadiah 15-18 and Isaiah 34, because world opinion will swiftly turn against her once the world sees the worsening plight of the Palestinian people. Could Israel actually begin this war, making it look like the Arabs initiated the attack? Of course, she could, and just might. For those of you who are naive enough to believe that a responsible government could never do such a thing, take a few moments to read NEWS1595, entitled, "Operation Northwoods: Proof Positive That American Government Leaders Are Willing To Create A Plan That Will Kill Fellow Americans". In this plan, the Pentagon badly wanted to attack Fidel Castro, a plan they called "Operation Northwoods"; so they created this shocking plan to deliberately stage terror attacks, bomb American ships, sabotage other ships, have "friendly" Cubans invade our Guantanamo Bay base, fake a shoot-down of a civilian air liner, sinking a boatload of Cuban refugees, and a fake shoot-down of one of our fighter planes -- all to be falsely blamed on Cuba so as to justify an American invasion. How many thousands of Americans and Cubans would have died had President Kennedy authorized this plan? Yes, the Israeli government is capable of staging such a deceptive attack on their own positions, blaming it on the Palestinians, and/or the Syrians, Jordanians, and Egyptians. In the meantime, at the same time Israel is preparing to forcibly remove her citizens, her Prime Minister is continuing to allow the Palestinians to be armed by the Egyptians, is continuing with the plan to allow Egyptian soldiers right on the Gaza - Sinai border, plus allowing other actions which on the surface seems to be weakening Israel to the point where she can no longer defend herself. However, once the war begins, Israel will use her vastly superior weaponry -- possibly including Scalar Weaponry (NEWS1776 and NEWS1776b) -- to annihilate an enemy seemingly nearly ready to finally annihilate Israel. 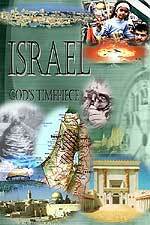 Additionally, Israel has the comfort of God's many promises that He will never allow the reborn, End of the Age Israel to be defeated and destroyed once she comes back to her land. 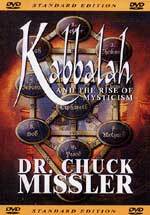 Take a few moments to read our June, 1996, treatise on this subject, NEWS1010, "Modern Day Miracle of Israel's Rebirth". Truly, these are momentous times. Are you spiritually ready? Is your family? Are you adequately protecting your loved ones? This is the reason for this ministry, to enable you to first understand the peril facing you, and then help you develop strategies to warn and protect your loved ones. Once you have been thoroughly trained, you can also use your knowledge as a means to open the door of discussion with an unsaved person. I have been able to use it many times, and have seen people come to Jesus Christ as a result. These perilous times are also a time when we can reach many souls for Jesus Christ, making an eternal difference.